Leaders, we all grow weary at times. We need this spiritual shot in the arm to remember how to walk in strength and not give up. 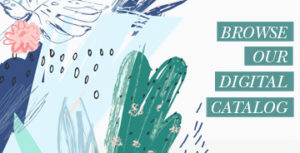 Ask God which of these 5 ways that Jennifer Landrith shares with us in this post. 1. Make your quiet time with the Lord your first priority before doing any ministry. It’s so easy to get busy doing good things and neglect our time in God’s Word. We have to have this time to be replenished and not get depleted. We also won’t have anything to give to others if we don’t spend time with the Lord. 2. Learn to say no to good things so you can say yes to the best things. If you say yes to everything then you will be exhausted. Listen to the Lord as you make decisions on what to be involved in. When I was a kid my family would go to buffets sometime to eat and I would want to put everything on my plate. My eyes would be bigger than my stomach and I couldn’t ear it all. This is how ministry is because we may want to do it all but when we try then we will find ourselves with no energy. Ministry will become a burden and not a blessing. 3. Remember the Sabbath. Keep the principle of rest in your life one day a week. If we start violating this then we will be running on empty and need longer breaks to recover. God knows what is best for us and this is what He tells us to do in His Word. 4. Surround yourself with people that encourage you in your walk with the Lord. We are going to be out in the world around people that are going to drain us so we have to be intentional about getting with people on a regular basis that motivate us in our relationship with the Lord. We need times of laughter, fun and encouragement. 5. Keep your eye on the harvest and not on the daily toil. Sometimes what keeps us going is to think about the blessing at the end of a time of hard work. When you are thinking about all the work you have to do for an event, don’t dwell on all the tedious work and get bogged down. 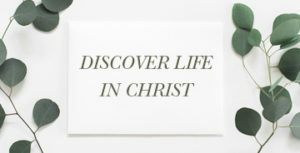 Remind yourself of the women who may come and find Jesus, or get help with their marriage. Just as the farmer is thinking about the great harvest he will reap as he plants the seeds and pulls the weeds, we have to think about the women whose lives will be changed. That is why we do what we do because we want to see a harvest of women come to know the Lord. Jennifer Landrith is the wife of David, who serves as the senior pastor at Long Hollow Baptist Church, Hendersonville, Tennessee, where they have been since 1996. She has been a minister’s wife for over 20 years and has a passion for encouraging other wives in ministry as they serve. Jennifer and David have three children, Rachel, Sam and Josh. Jennifer serves on the Women’s Leadership team and teaches Bible studies for women in her church. 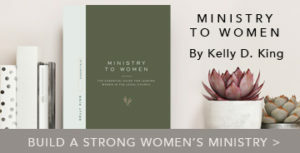 She is a LifeWay Ministry Multiplier, conference leader helping ministers’ wives and co-authored the Bible study for ministers’ wives, In Our Shoes: Real Life Issue for Ministers’ Wives by Ministers’ Wives.